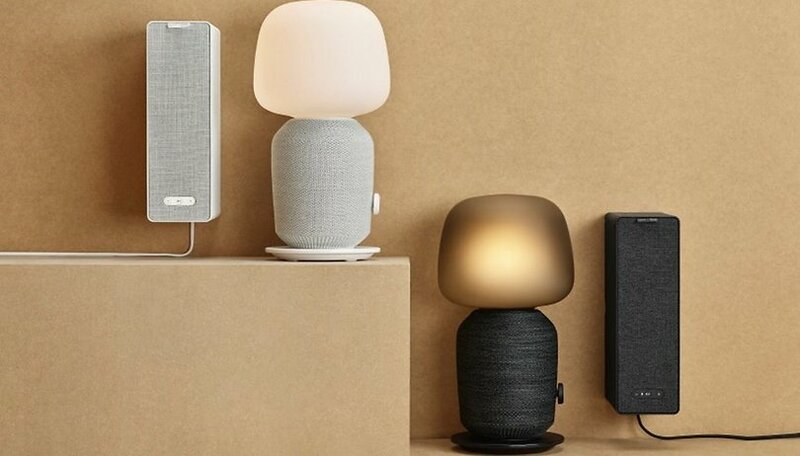 They found each other: The Swedish furniture store Ikea and the American audio specialist Sonos are working together to launch Symfonisk, a hybrid of lamp and loudspeaker. Beautiful idea, also because the two products do not cost more than buying each individually. Ikea and Sonos already announced in January that they wanted to do something together, and now Symfonisk is the first product of this cooperation. Symfonisk looks like a Sonos Play 1 with an Ikea bedside lamp on top - which also provides the technology on the inside. The combination of lamp and loudspeaker was chosen because it was discovered that many customers lack the space to set up a loudspeaker, Ikea product developer Stepjan Begic told the mirror. The combination of loudspeaker and lamp costs $179 - that's not much when you consider that the Sonos Play 1 is already in that price range. If you like it a bit cheaper, you can also take a loudspeaker, which has been developed together, which has its place lying or upright in the shelf. It's just $99.95. Both products are available in classic white and black.